Every 6 months Scentsy brings awareness to a cause by creating a special Scentsy warmer or Scentsy Buddy through their Scentsy Cause Awareness Program. 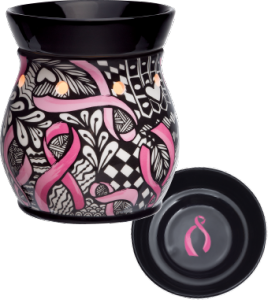 This Scentsy Warmer is no longer available as we have a new Scentsy Cause product. Click here for our current Scentsy Warmers.